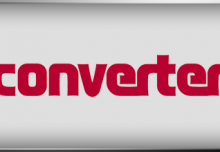 Converter Magazine | It’s Simple to Upgrade your Web Guide to the Latest Technology – TODAY! It’s Simple to Upgrade your Web Guide to the Latest Technology – TODAY! Converter Magazine > Newsletter Items > It’s Simple to Upgrade your Web Guide to the Latest Technology – TODAY! More times than often, a complicated problem has a simple solution. That is the approach of Roll-2-Roll Technologies toward web guiding and web monitoring enquiries presented by customers. Take for example old guiding units in converting operations. These are working with outdated control and sensor combinations, plus worn out actuators. In some cases they are working with limited performance or about to completely fail. 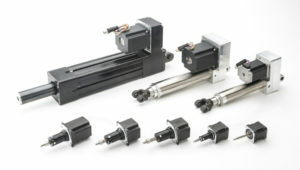 The mechanical components of the web guide can be easily refurbished, but so far there have been few options for the sensors, controllers and actuators. Converters will typically face a complete replacement of a web guiding unit, a costly capital investment. Our solution is a web guide upgrade retrofit kit. 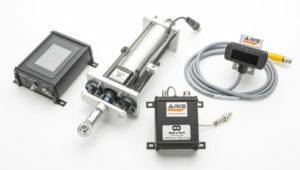 The converter uses the existing mechanical components and replaces the controller, sensor and actuator with our kit. A less expensive and simpler solution that allows the converter to integrate the latest in web guiding technology into their converting operation. A sensor and control technology that allows you to process any material without the need to calibrate the sensor due to changes in materials or ambient conditions. 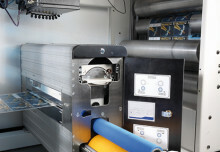 We make it simple to operate your line by eliminating the need for calibration. Of course, we still provide new complete web guiding solutions in the form of narrow web compact and low profile displacement or offset pivot (OPG) guides, wide web OPGs, and terminal web guide systems for unwind and rewind applications. 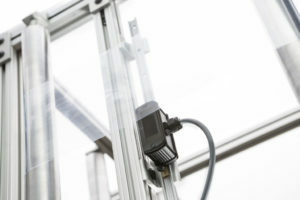 On the web detection side, we have developed sensors for edge and contrast monitoring, allowing for multiple applications with the same sensors: width measurement and monitoring, thread monitoring and counting, guiding or monitoring based on the features of a printed image, UV source monitoring, and many other that expand from these applications thanks to our advanced sensor and control technology. So, if you have a web guiding, monitoring, or detection issue, contact us. We will gladly work with you to solve your problem. We may be a young company, but we are recognized as experts in web handling. ©2019 Converter Magazine. Datateam Business Media Limited. All rights reserved.